Pinoy Big Brother is back; and naturally with not just a bit of controversy. Subtitled ‘All In,’ the fifth edition of the popular reality show throws together teens, adults and celebrities in something of a personality stew that producers say has never been done before. Rigged, is what people have been quick to brand the show after the housemates were first allowed into Kuya’s house last Sunday night. The hash tag #pbballinscripted immediately trended overnight on Twitter. What was the point, some asked, of holding nationwide auditions when most of the housemates on the face of things seemed to have been selected on the basis of good looks or connections? Indeed, this year’s group is probably the most handsome collection of young men and women to have been allowed into Kuya’s house. Still early days yet; and so the dynamics are only just starting to unfold. There is still a bit of stiffness among the housemates as tends to be in the early days of a PBB season. The personalities will begin to come out when the housemates get used to each other and to the idea that they are surrounded by cameras. While the show will fall under the category ‘reality,’ one has got to be really naïve to think that PBB is a hundred per cent unplanned and spontaneous. I only got to watch the show starting with Season 4, and saw it through the end; but I quickly came to the conclusion that there had to be some sort of script that was being loosely followed. The unguarded moments were probably all natural. It was the way the behaviours of individuals were led on by conditions that were meant to induce these very behaviours that made it quickly evident to me that the show was not really reality in the truest sense of the word. Besides, whichever way you want to think of the show, the fact of the matter is that it will still fall very under the category ‘entertainment.’ Those who saw Robert Redford’s 1994 classic ‘Quiz Show’ will immediately understand what I mean. PBB, to put things simply, is show business! What a pity that the local cable provider is no longer running the show’s 24/7 version, which was what got me hooked on PBB Season 4 to begin with. The highlights that they show on TV barely do justice to what the show is all about. The housemates’ unguarded moments used to be so fascinating to watch. I was told that there is always bound to be a housemate from Batangas in PBB. I suppose this should not be surprising given that Director Lauren Dyogi has relations in the province and in fact is the uncle of one of my former players. Add to this the fact that we Batangueños naturally ooze with irresistible charm. Pamu, on the other hand, was from my home city of Lipa. The boy has movie star good looks and seems mature for his age. I understand that he used to be a student of Sta. Teresa College in Bauan before he dropped out; and intends to go back to school after PBB. Don’t take my word for any of these itty-bitty pieces of information. I just pick them up here and there from show biz talk shows. I have watched two instalments of the show’s late night highlights; and Joshua hardly got any ‘airtime,’ something all the housemates need for when the time comes when the public will vote who to evict. Still early days, however; and the boy will probably get his moments in the limelight. Perhaps he got more exposure in the afternoon highlights show called ‘Uber’ which I do not watch. The phrase ‘Basta Batangueño’ trended yesterday on Twitter and many of the tweets mentioned Joshua and PBB. Meanwhile, Monday’s late night highlights were dominated by the flamboyant if sometimes slow Gonzaga sister, who if you will believe the producers, was expecting to host the show but ended up being a housemate. Like I said, showbiz! Last night, Lasallian athletes Michelle Gumabao (of the DLSU champion volleyball team) and Axel Torres (brother of Thomas Torres of the champion basketball team) hogged the highlights. The less guarded the housemates become, the more fascinating the show becomes as well. Scripted or not. And I will be interested to see how far that Batangueño kid Joshua can take this great opportunity to make something of himself. 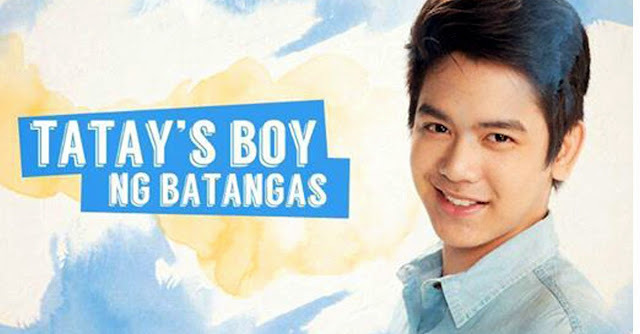 Acknowledgment: Top photo of Joshua Garcia from the PBB All In Twitter account.